We finished the First Quarter of 2019 strong with Jabari Parker, our hometown hero and NBA champion. 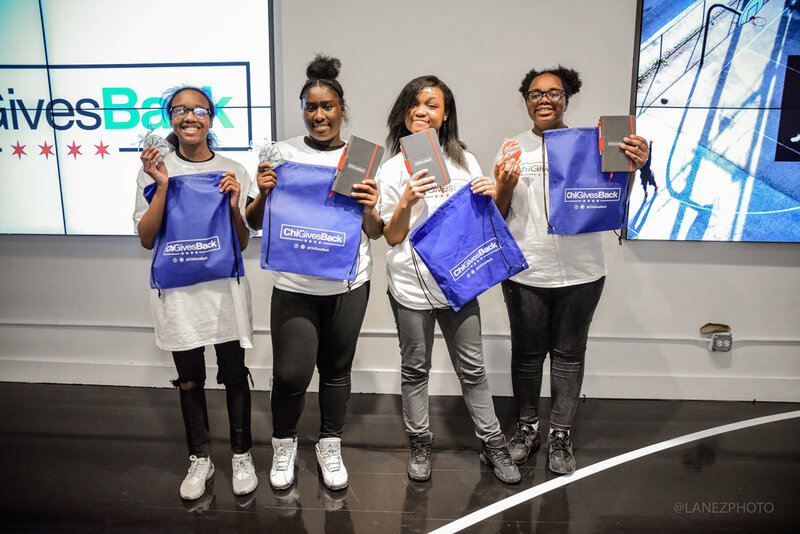 We recently partnered with Jabari to give words of affirmation and positive vibes to twenty Chicago Public School students. We hosted a dinner for the students at Station 23 (Jordan Brand Store) where they were able to talk to Jabari about their dreams, hopes and fears. Jabari encouraged the students to reach beyond the sky in pursuit of their dreams and to jump over the hurdles that life is sure to bring. We are grateful that he took the time out his schedule during a visit to Chicago to give great insight to students from our community. It was an incredible evening of good food and conversation...we can't wait to share what happened next. Stay tuned! The Chicago Chapter of the National Concierge Association voted to support our organization as their 2019 philanthropic organization -- we are excited about this partnership! We look forward to connecting with you soon on a project to uplift our community, sign up to volunteer with us today! See you soon.